I rarely ever paint my nails because I'm terrible at it but I decided to do so as someone asked for a review on the nail polishes from Natio that I bought a little while ago. This is the Natio peachy pastel and please excuse the chipping and peeling (and my non-existant nail painting skills). I only remembered to take the photo a few days later. I used two coats to make it opaque and used a base and top coat as well. I've had it on for about a week and the chipping was very minimal until now although, last night, the polish on one of my fingers completely peeled off in one piece. I think if I had used a better base coat, then it might have lasted longer. Just for reference, I used the Orly Bonder rubberized base coat. Don't forget that my giveaway is still on! I just love peach for the spring - this one is gorgeous! 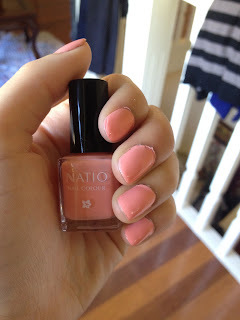 I saw the natio polish range at priceline and some of their colours are so pretty! 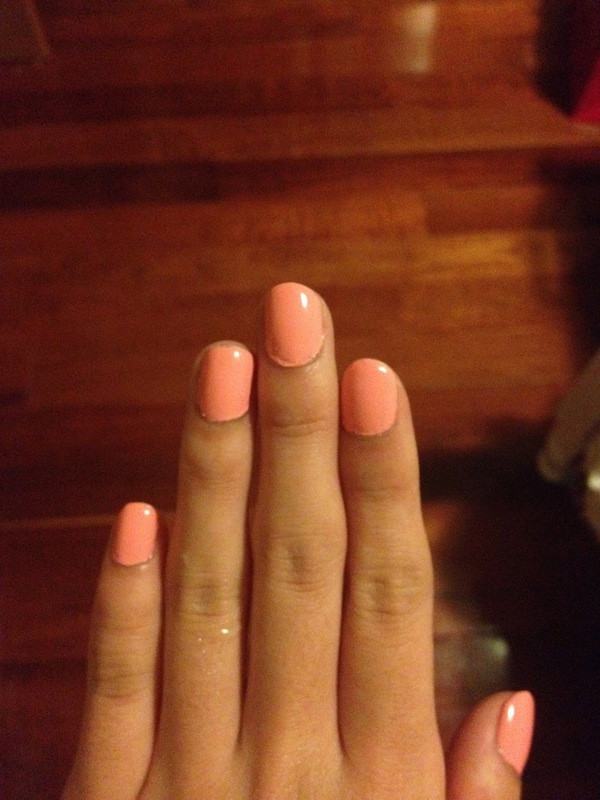 :D Such a cute colour! I love it :) It really grew on me. You are totally not terrible at painting your nails!! And that is a very pretty shade :) I always wanted to get a shade like that but could never pull it off. I have one natio nail polish (Luminous taupe) and it's so gorgeous and such a great formula. I seriously don't know why their nail polishes aren't raved about ! That is such a pretty peach shade! I might just as well head out to the shops sometime this week to check it out!